New bags! And my first attempt at photo exposure screen printing. 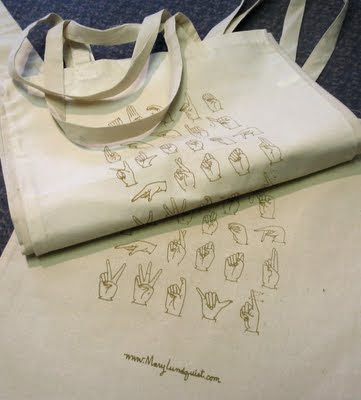 I'm very pleased with my American Sign Language alphabet design, even if they are off register. (Each one is unique!) 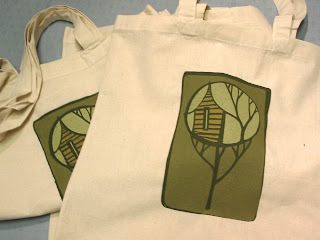 I plan to set up an 'etsy' shop very soon, so if anyone is interested in purchasing a lovely tote please stay tuned! At long last, I have painted again! 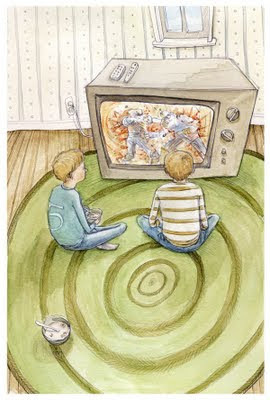 This is a small watercolor, just to keep it up and to add another editorial illustration to my portfolio. This image was in sketch stage for a long time but when I came across it recently and had a clear vision of the finished piece. Isn't it nice when it all seems so simple? 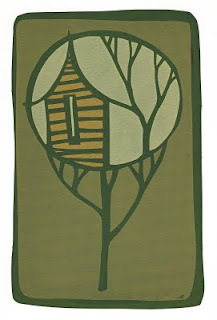 I began drawing treehouses a few years ago. I did a lot of pen and ink drawings in this style, but I don't seem to have any real record of that work, which is too bad. The image keeps coming back, and working its way into my new methods of art making. 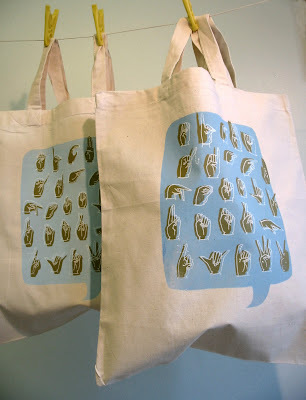 Here is a screen print: a new bag design. I used paper stencils and a borrowed screen (thanks, Jane! ).